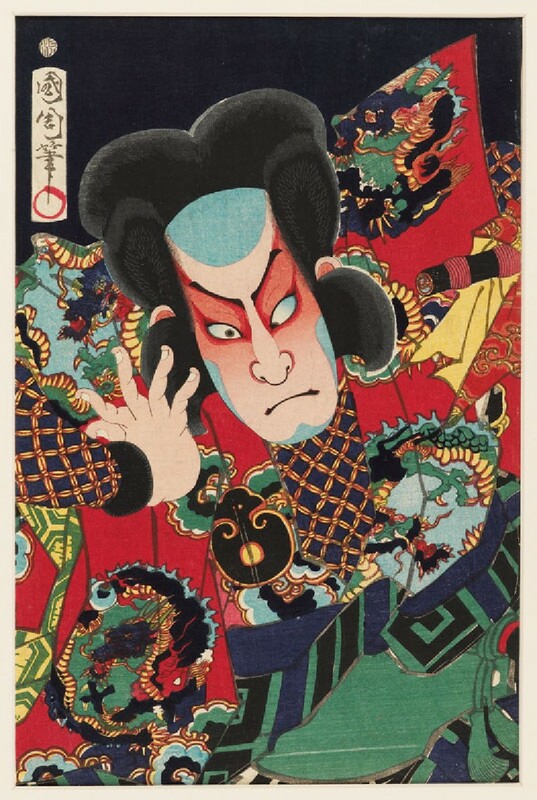 This spectacular print shows the famous Osaka actor Nakamura Shikan IV (1831-1899). He was able to play almost any kind of role, whether brave heroes, evil villains or even beautiful heroines. Traditionally, woodblock prints showed full-length figures with minimal background details. From the 1790s, artists began to vary their designs to include half-length portraits and dramatically-cropped views of just the head and shoulders. The immediacy of these new-format prints brought fans much closer to their favourite stars.